Our newest member of the SILCI research team, Emilie Vrain, recently attended the Sunbelt conference in Utrecht, The Netherlands. Sunbelt (originally held in places such as Hawaii and Florida, giving rise to it’s name) is an annual event to bring together social scientists, mathematicians, computer scientists, ethnologists, public health experts and many others, who all study social networks in their field of work. 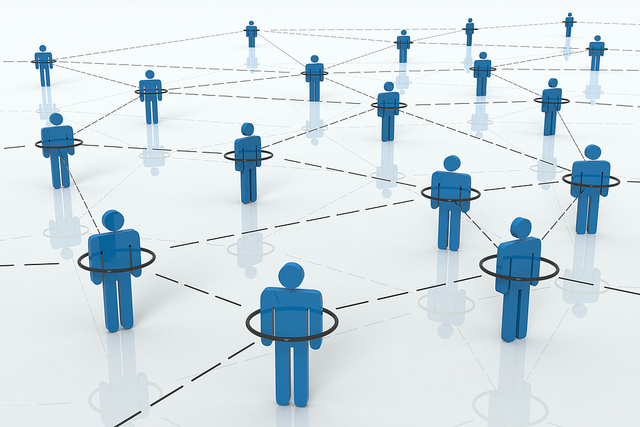 Whilst studying social networks can be helpful for understanding how diseases spread though our population, how collaborations between organisations can influence their success, or even how the bumble bee’s waggle dance spreads information within it’s hive, there are numerous reasons why SILCI is interested in social networks. SILCI plans to study how early adopters of low carbon innovations communicate information amongst their social networks (on-line and off-line), potentially influencing adoption. The Sunbelt conference was an excellent opportunity for Emilie to network with specialists and to learn about the most up-to-date methods used for collecting and analysing data on social networks.